I’ve never shared our holiday dinner table before, but I thought it would be fun. 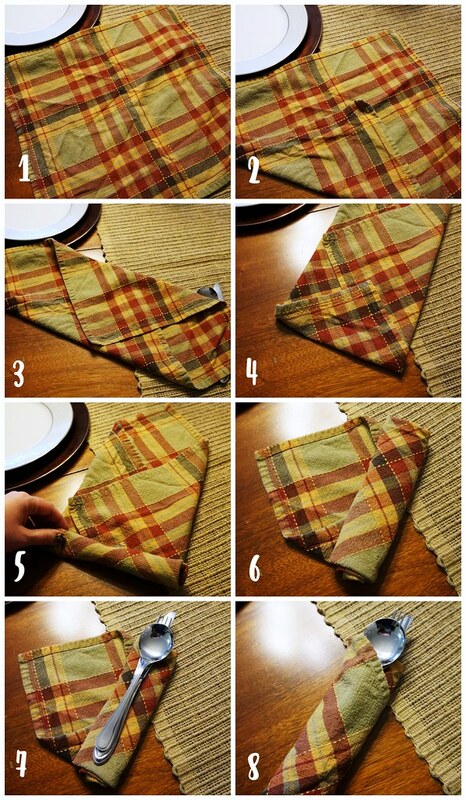 A couple of weeks ago, I was perusing Pinterest for place setting inspiration. There are so many pictures of gorgeous tables online, and for every holiday! The ones that caught my eye had a lot of decorations and components to the place setting. 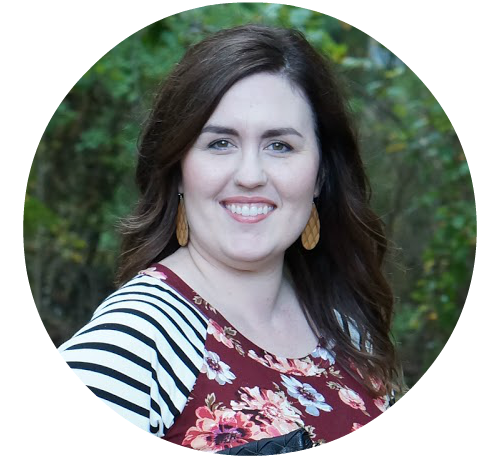 They are super inspiring, but I find that I’m a lot less stressed when I keep things simple. I would much rather focus on cooking the food than fussing with decorations. Now, don’t get me wrong, I love to decorate! But, I’m a leave it and let it be kind of person … I just want to decorate once and enjoy it for the rest of that holiday season. It’s kind of like makeup … I only want to touch it up throughout the day if I have to. If it looks fine, I’ll leave it alone. This is a lot of rambling, all to say that I mostly shopped what we already have in our house. I want our Thanksgiving place setting to look special and look like us. I bought two things for Thanksgiving — a rustic table runner and a set of chargers. I pulled out our fancy china! I love having special plates for holidays. Sadly, this is the first time we’ve used them. I always talk myself out of using them, because we’re in a hurry to eat and get out the door. I don’t want to either leave food stuck on the plates while we’re at family’s houses or clean them in a hurry and chip them. So, they’ve lived in the boxes for the past 9+ years! Funnily enough, I’m pairing our china with super affordable chargers from Michael’s. They have a huge variety. These are a golden brown. The brown did not pick up in the photos. I’m not sure if I will use these for Christmas as well, but at $1.20 on sale I can surely pick up some red or green ones next month. I’ve opted for our plain water goblets. We have some fancy stemware that goes with our china, but we probably won’t be serving wine. If anything, we’ll be pulling out some pumpkin or apple beer! 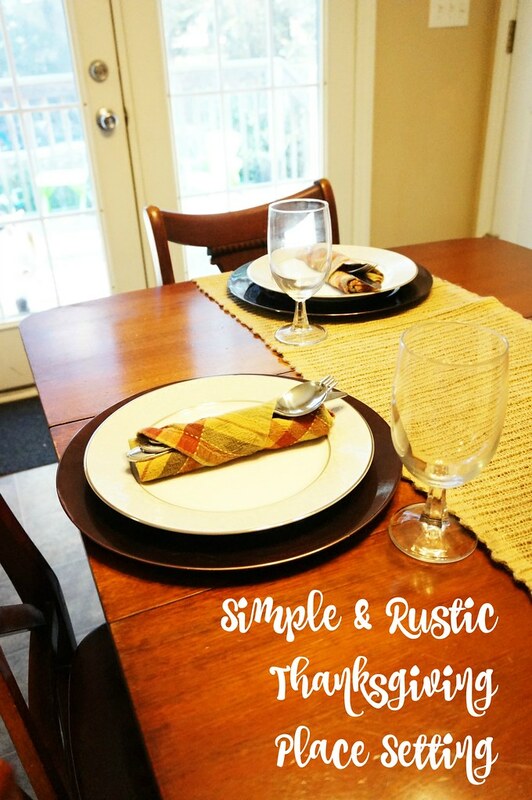 Last, but certainly not least, I bought this burlap table runner at Walmart. 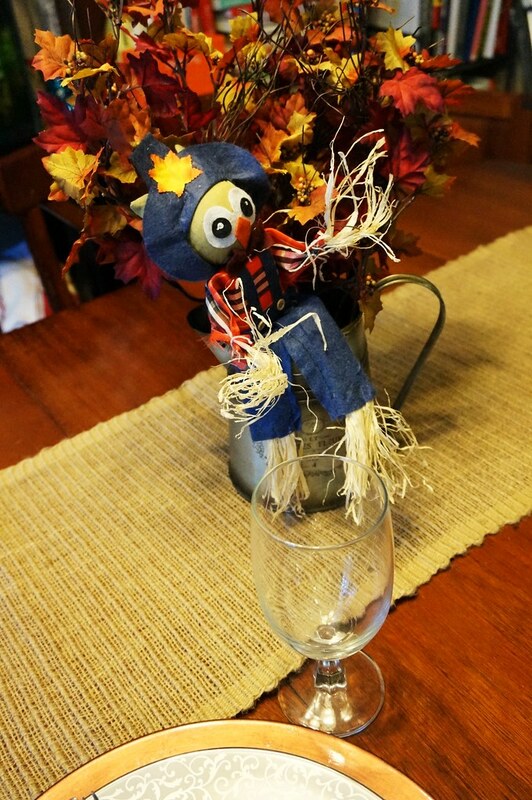 In one of the inspirational Pinterest photos I found, there was a burlap table runner with pumpkins and garland decorating the middle of the table. As hard as I looked, I could not find any pumpkins. It’s like Halloween ended and all the pumpkins disappeared. I already had this tin milk jug with leaves and scarecrow. So, this is it for now. I really love it, but I was hoping to find something different for Thanksgiving. Next year, I’ll start planning earlier so I can snap up some pumpkins! 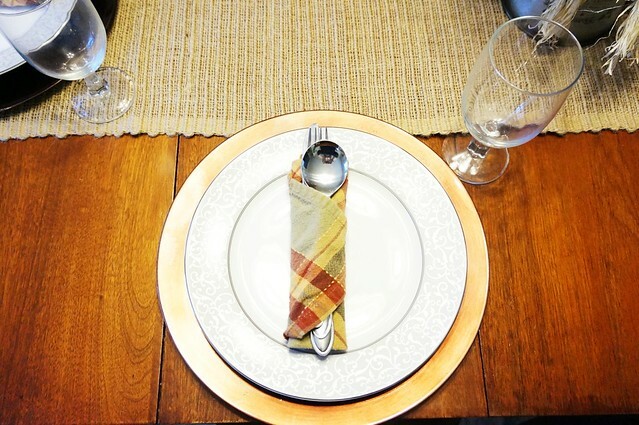 Now that I’ve shared our place setting, how are you decorating for Thanksgiving?